Kenapa pula ini? Adakah staf Mahkamah kurang/tidak buat kerja dengan sebaiknya? 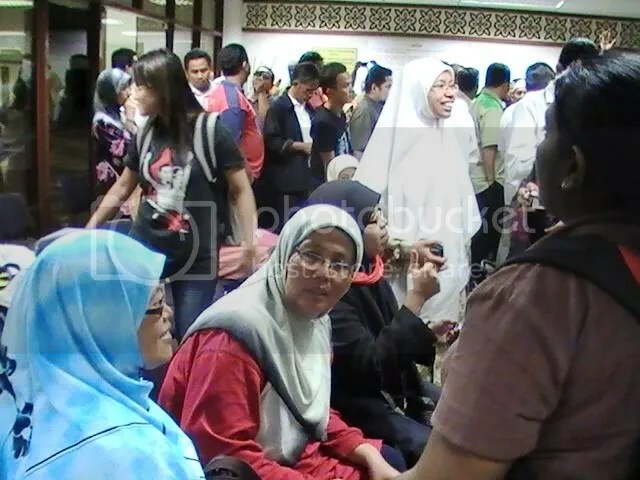 KUALA LUMPUR – A TOTAL of 29 people were charged in court here on Monday for taking part in a massive protest at the weekend against the Internal Security Act (ISA). In all, 589 people were arrested during Saturday’s demonstrations in downtown Kuala Lumpur, but most of them were released, including opposition Parti Keadilan Rakyat vice-president R. Sivarasa, who was freed on Monday. 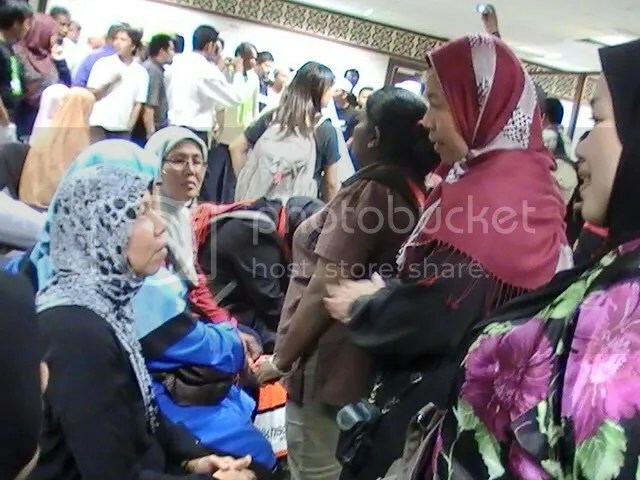 Among the 29 hauled up in court on Monday were a 16-year-old boy, a 60-year-old woman and another woman, Norlaila Othman, whose husband has been an ISA detainee for the past seven years. The accused were charged with taking part in an illegal assembly or aiding an illegal organisation in connection with the protests. All of them pleaded not guilty. They were freed on bail and will be tried on Sept 4. If convicted, they face jail terms of one to three years. Saturday’s demonstration, which drew a turnout of some 15,000 to 20,000 people, was organised by the Abolish ISA Movement and attracted the support of opposition party leaders. The protesters say the ISA should be scrapped because it is being used as a means to quash legitimate dissent from opposition party members and civil rights groups. 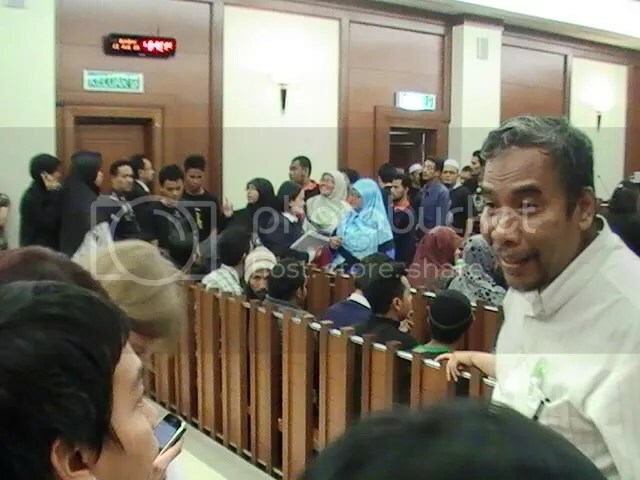 In court on Monday, defence counsel Azizul Shariman Mat Yusoff argued that the group that mounted the protest should not be regarded as an illegal organisation. ‘The Abolish ISA Movement is a coalition comprising 83 registered NGOs and political parties,’ he said. Separately, human rights group Suaram issued a statement saying it would lodge a police report against the Inspector-General of Police, Tan Sri Musa Hassan, for curtailing the protesters’ freedom of assembly. The downfall of the Federal Government will be partly due to the civil servants sticking to the professional view of their profession and tasks. 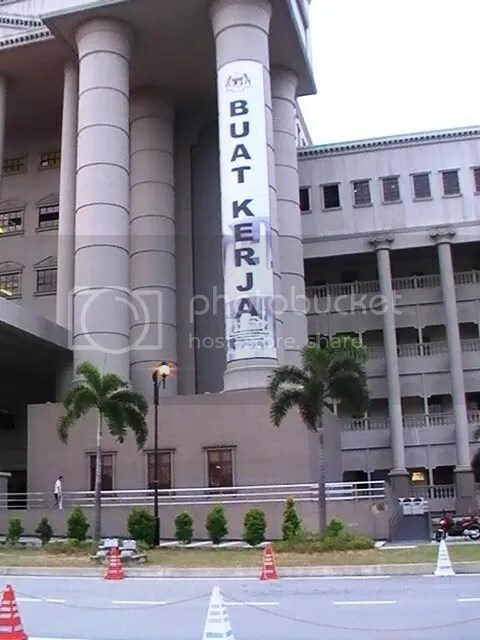 The Kuala Lumpur High Court judge who declared Mohammad Nizar Jamaluddin as the rightful Perak menteri besar (MB) last week had apparently snubbed Attorney-General Abdul (AG) Gani Patail’s submissions in arriving at his decision. 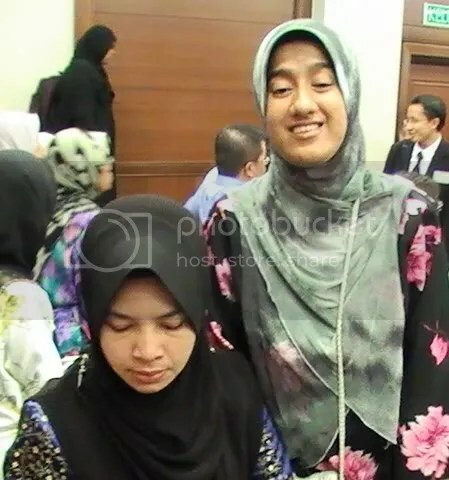 Justice Abdul Aziz Abd Rahim did not take into consideration the three points raised by Abdul Gani (right), who was acting as intervener to assist the court in interpreting the Perak constitution. Much of the AG’s submissions had leaned towards Barisan Nasional’s Zambry Abd Kadir, who had sought a fast-track decision to resolve the political impasse. 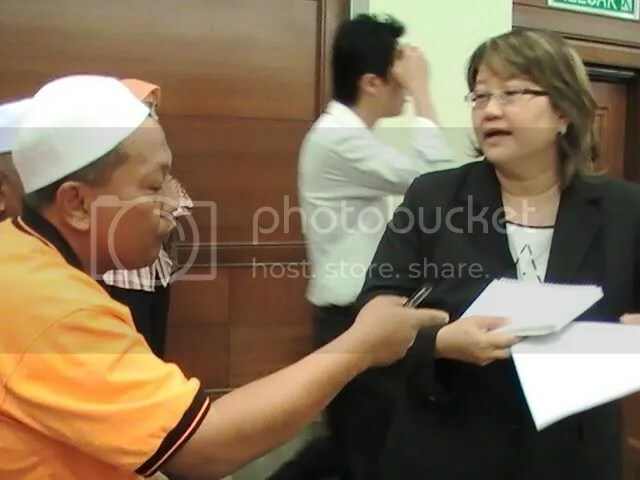 In the 78-page judgment, a copy which was made available to Malaysiakini, the judge responded to the points that Abdul Gani had raised. The first concerns the point of the phrase that the menteri besar shall tender “his resignation”. The AG had suggested that failure to resign when the MB does not hold the majority in the state assembly is against democratic principles – and that under established convention the person has to resign. However, Justice Abdul Aziz did not accept this, saying: “I do not find anything in Article 16, clause 7 of the Perak constitution that warrants it to be read subject to clause 6 of the same Article in the manner suggested by the AG as to the dismissal of the menteri besar. 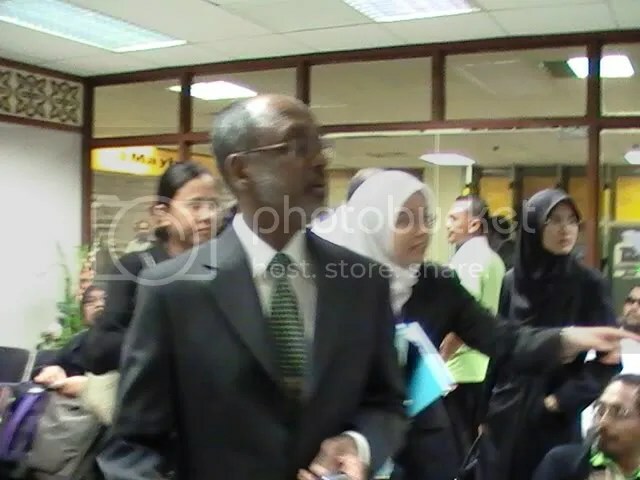 Abdul Gani’s second point, which had been adopted by lawyer Cecil Abraham (left) acting for Zambry, was that Nizar’s refusal to resign meant that the office was deemed to be vacant and that the MB was deemed to have resigned. He further submit that the words “shall tender his resignation” according to Article 16(6) are very strong words and they are mandatory. Again the judge rejected the submission, noting that it was clear the Perak constitution is not to be construed in a narrow sense. 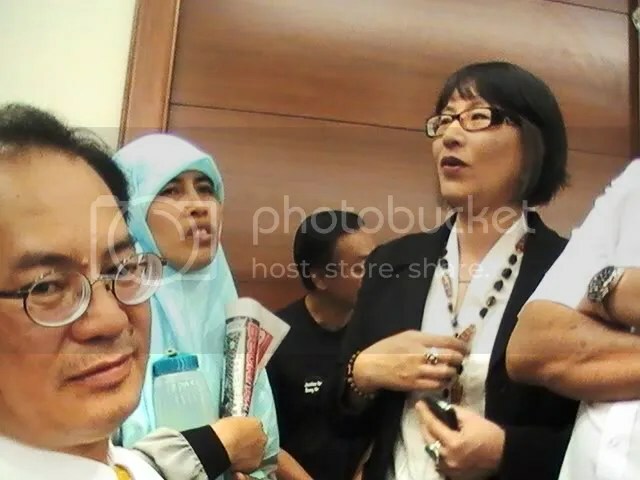 “It must be construed liberally…In my view, no matter how mandatory is the word ‘shall’ in Article 16(6) it cannot be read to mean that the office of menteri besar becomes or is deemed to be vacant if the chief executive refuses to resign. The third submission, also adopted by Zambry’s counsel, was on the issue of dissolution of the state legislative assembly. The AG argued that this is possible in two situations – when the life term of five years ends and when the menteri besar ceases to command confidence. “I do not agree with this submission. It is true the request may be made only under two provisions of the Perak constitution that is Article 16(6) and Article 36(1) and (2). But the circumstances under which the request can be made is unlimited,” said the judge. “It is up to the menteri besar to choose his time to make the request. However, once a request is made under whichever of the two provisions, it is entirely up to the sultan’s discretion to grant or otherwise to dissolve the legislative assembly. The judge quoted Sultan Azlan Shah (right), a former Lord President, in his book ‘Constitution of monarchy, rule of law and good governance on the role of the Yang diPertuan Agong’. Justice Abdul Aziz said that “under normal circumstances, it is taken for granted that the Yang diPertuan Agong would not withhold his consent to a request for dissolution of Parliament. His role under such a situation is purely normal”. However, the stark fact remains that a vote of no-confidence was never issued against Nizar in the legislative assembly and he had not appeared before the sultan to request dissolution because he had lost command of the majority. 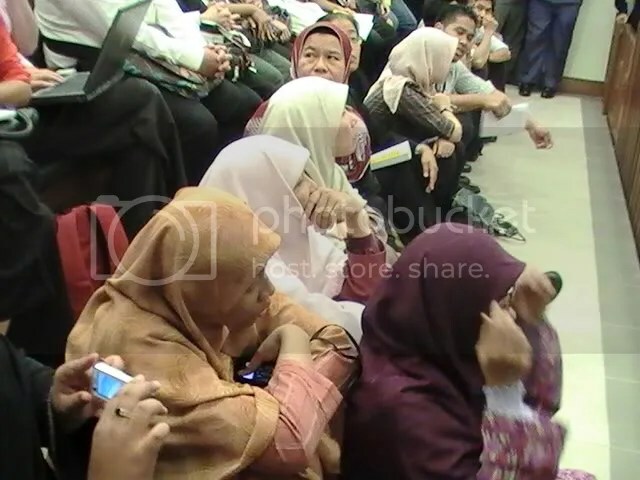 “So how could one say the applicant (Nizar) had ceased to command the confidence of the majority? “In this case, His Royal Highness through his enquiries has judged that the respondent (Zambry) has the support of the majority. But that finding does not necessarily mean His Royal Highness can form an opinion (that) the applicant (Nizar) ceases to command the confidence of the majority. In his ruling on May 11, Justice Abdul Aziz had said Sultan Azlan Shah was not entitled to ask for Nizar’s resignation because the menteri besar does not hold office at the pleasure of the state ruler. Abdul Aziz said that once a menteri besar is appointed, he and his executive council are answerable to the state legislative assembly and to no one else, as stated in clauses 2, 5, 6 and 7 of Article 16 of the Perak constitution. Based on the provisions in Article 16, it is for the legislative assembly to determine whether Nizar commands confidence as menteri besar. “It is my opinion that the dismissal of the mentri besar by His Royal Highness or by anyone else is never contemplated under Article 16(6) of the Perak constitution,” he said. He said Article 16(7) of the Perak constitution provides that, except for the MB, other exco members hold office at the sultan’s pleasure and can be removed from office by the sultan acting on the MB’s advice. Justice Abdul Aziz noted that Sultan Azlan Shah had interviewed the three state assemblypersons who became Independents who said they had pledged support for BN voluntarily without any coercion from any party. The judge went on to question why Zambry had not requested the sultan to summon the Perak assembly for a special sitting so that a motion of a vote of no-confidence could be tabled and passed against the applicant. “That would be more in accord with the democratic principles and practices. For the above reasons and circumstances, I am of the view that the office of menteri besar of Perak has not become vacant or vacated,” he said. He then declared Nizar as the rightful menteri besar, after ruling that he (Nizar) did not vacate the office since he had not lost the confidence of the majority of the assembly. However, the Court of Appeal has allowed a stay of the order and a notice of appeal has been filed by Zambry. This will be heard on Thursday together with Nizar’s application to set aside the stay order.